Tech giants Microsoft, Facebook, Twitter and Google have agreed to do more to remove extremist content within hours of it being posted. The accord was decided at a two-day meeting between the G7 nations and the tech firms, hosted on the Italian island of Ischia. 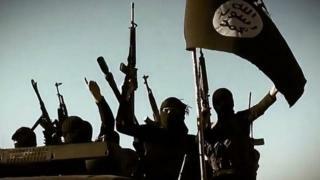 The aim, according to officials, is to remove jihadist content from the internet within two hours. In a tweet, Twitter said the talks had been "important and productive". Twitter and Google declined to give further comment. Italy's interior minister Marco Minniti said they were "important first steps". In a statement issued after the meeting, the G7 said: "We underscore the challenge to industry and we urge it... to develop solutions to identify and remove terrorist content within one to two hours of upload, to the extent it is technically feasible, without compromising human rights and fundamental freedoms." It also urged the companies to develop better detection tools and to ensure all removed material is reported to authorities. In September, UK prime minister Theresa May said technology companies must go "further and faster" in removing extremist content. She said then that she wanted such content removed within two hours. MI5 head Andrew Parker said that allowing extremists "safe spaces online" made threats harder to detect. It is the first time that representatives from Google, Microsoft, Facebook and Twitter have taken part in G7 talks. The G7 consists of Canada, France, Germany, Italy, Japan, the UK and the US.